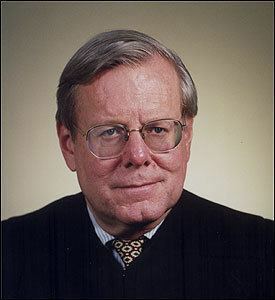 At the recent annual meeting of the Massachusetts Bar Foundation, U.S. District Judge William G. Young, in accepting the Great Friend of Justice Award, delivered a thoughtful and impassioned speech decrying the decrease in jury trials in the federal courts. Trial by jury, he asserted in the one place in our justice system that gives meaning to the words, “equal justice under the law, fair and impartial.” He challenged lawyers and judges to help conceive of innovative ways to help courts remain productive without having to sacrifice actual trials. As he finished his speech, he handed out the page you see below, titled “America’s Most Productive Federal District Courts.” As you can see, the chart ranks productivity based on hours spent by judges on the bench and in trial. It covers the top third of the district courts. As Judge Young explained in a 2011 opinion, court administrators prefer to rank productivity by a judge’s ability to manage (and reduce) his or her docket. That measure puts on premium on avoiding trials and encourages judges to do whatever they can to avoid trials, Judge Young argued.